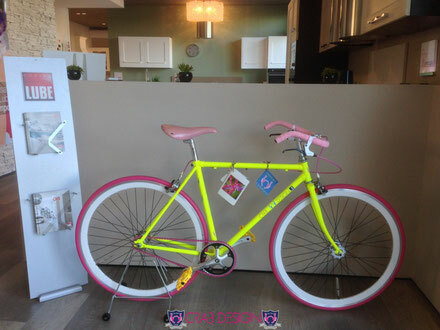 Exposition, during the Tuscany 2013 cycling championship that passed nearby, in the Cucine LUBE showroom in Quarrata (Pistoia) of the fixed Crab Design® bikes. GO CRAB! GO BICYCLE! GO ITALY!